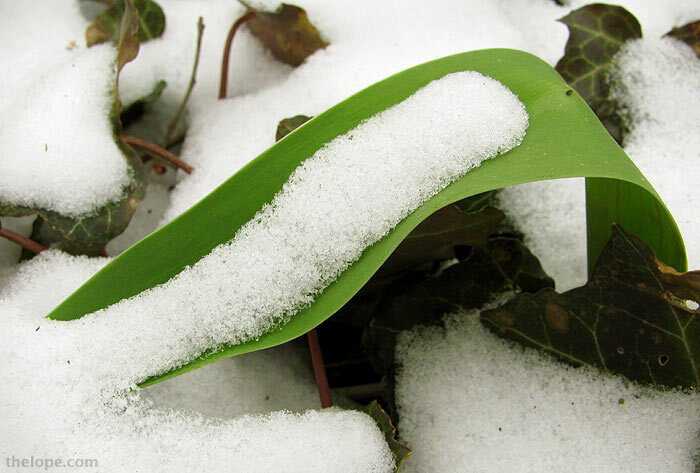 Like a frosted super-slide, a tulip leaf curves into a bed of English ivy in my backyard on this first day of Spring. 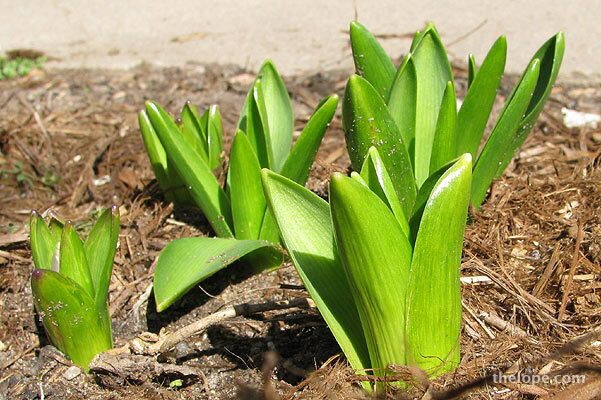 Four days ago my hyacinths had poked through the mulch, sure that the sun and the tilt of Earth's axis would nurture them. It's supposed to drop down to 21 degrees tomorrow night; I think their tender optimism may be unfounded. "You all have greatness in you"